I would like to start this post by saying, I am feeling and even looking better than I have in years. My clothes fit so much better in small ways. But those small ways make a big difference in how I view myself. It's amazing what a few weeks of very little processed foods and refined sugars can do for you. I also have been working out. I did a crazy work out last Thursday that I am still sore from! 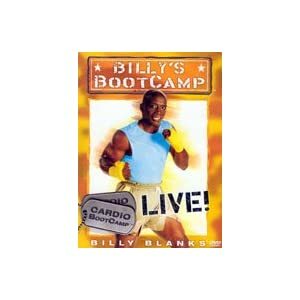 I pulled out my old Billy Blank videos and fired up the boot camp DVD. Can I tell you I wanted to die about 10 minutes into it! I thought all the running and Zumba and Yoga would at least half prepare to take this video on again... but that was not the case. I really wanted to give up about 20 minutes into it, but I kept moving and made it the entire 55 minutes. Aside from the push-ups and rolling towards the end. There was a moment I was laughing too hard because my arms were mush and I couldn't get up any more! I had to take a breather and then I got moving again. I am still a tiny bit sore from this work out. The next day I was okay until the afternoon and it just got worse from there. I went running Saturday and that felt amazing, but afterwards my body was that much more sore. It felt great! So I'm still going. I am eating better, working out more and pushing my body in a way it has never been pushed. My attitude has gotten better and although I still have my tired moments I make it all the way through the day. I have had 0 soda for 21 days now and very little refined sugars. I never thought I could do it. The last time I went without soda was when I was pregnant and it made me sick. I don't know if anyone is really reading my progress or even if anyone really cares, but if I can give one piece of advice it would be to just start moving. It is hard to get started... it's the hardest part. Once you do and once you start seeing those results, it makes the hard part worth it. I am not over weight and I really don't have any weight to lose, so I don't understand what it is like to have a long way to go. But I do know it is possible. I am transforming my body. I am not fit or even that healthy, but one step at a time I am changing that and I am already seeing results. Just because a person is a skinny does not mean they are healthy and I have fallen in that category for far too long. I am determined to change my life from here on out and continue to improve myself so when I do leave this life I can say, I never gave up. Yes, I am still going strong! I'm ending my second week today on this fun little adventure and I have to admit I have had a few setbacks. I haven't been sugar free entirely... but, for the most part I have. I still feel good about where I am at. It has been tough at times and I have had several temptations! Most of them I have been able to withstand, but I did have chocolate cake at my daughters birthday party. It was rather tasty, but it kind of made me ill afterwards. I have had so little refined sugar over the past 2 weeks so all that sugar at once did not make my tummy happy. A lesson learned! So, onto week 3. I am going to be focusing most of my attention on my fitness. I will be a little relaxed on what I can and cannot have to eat... but I will still keep the refined sugars and processed foods to a minimum. I have not had a lot of energy or time to focus on exercising and I want to make it more of a priority. I plan on working out as much as possible. Tomorrow might be a little hard, since I am at work all day and then I have my Young Womans meeting that night. But I will find some time to do something. I would like to do my AM/PM yoga at least and then maybe some kind of cardio. I have been taking my vitamins, taking the time to watch the sunrise and some of the other goals as well. Hopefully by the end of the month I will have at least began to work on all of them. I am still enjoying this process and I hope by the end of each month I will have learned something new and gained something better! So... I haven't been that great about updating this blog. It seems by the time I have time to do anything I'm exhausted. I admit no soda and less processed foods have taken a tole on my energy! I am hoping once my body gets use to not having those things I will begin to get more natural energy. I am doing pretty well though. This is my 7th day with no soda and very little processed sugars and I'm making it through the day. I want to go to bed by 8PM but at least I'm making it through the bulk of my day with no problems! I did have a little bit of processed sugar on the weekend... but it was very minimal and I felt good about making it through all our different activities with only the little I ate! It has been a growing experience. I've done diets before, but I've never done anything that changes my life permanently. Don't get me wrong... I still plan on having processed foods here and there and devouring yummy desserts, but I want to change how I view food and what I eat as a whole. Even though I still want to grab a candy bar or make brownies I have been able to resist for the most part and as I get better at it I know my body will be grateful. Day one is over with and it was a success! I’m on day two and if I had my way this morning I would have cheated. I was so hungry this morning… even though I ate dinner. I just did not have any processed foods or treats and I think that makes a big difference. I ate early this morning, which I never do. I ate breakfast at 7am, but then it took me almost an hour to eat it because I was feeling so weak and sick. And then it took me a couple more hours to start feeling well. It just goes to show how much our bodies are dependent on these processed sugars. It’s almost like I have an addiction to them. I’m doing much better now and I am still on the straight and narrow. Hopefully tomorrow morning is not as rough. I slept really well last night and my toddler did not come into my room until 5am. For the past few months he has been coming into my room and getting into bed with me around 1 or 2am and let me tell you how much sleep I got. It was ridiculous. Two year olds are not meant to sleep with their parents. He kicked and rolled and wiggled all night. I told my friend about it and she gave me a book on getting your kids to sleep! The ideas in there worked like a charm. Now he doesn’t come in until 5am and I am good with that. I actually sleep and feel normal in the morning. It is one of my goals to go to bed early - 10pm and wake up early – 5am to 6am. Now that I’m not being woken up all night long I think I can actually accomplish this. I am so excited about this new journey in my life. I can’t believe I waited as long as I have to really make the changes I think are necessary in my life. I hope everyone who reads this will get how amazing this feeling is and maybe take the steps themselves. I’m only on day two but I already feel empowered and stronger. Get the book “The Happiness Project” or follow along my own journey and get motivated to make those changes in your life that have been nagging at you for far too long.